We offer our customers an excellent quality range of Fenta Strip Tiles. This is renowned for its wide applications due to its durability and beautiful appearance. These are presented by us in various colors, patterns, shapes and sizes. We offer tiles which are applicable in various ways. We manufacture Luster Concept Wall Tiles which are available with the dimension of 300 x 200 are available in exclusive range of designs. Our Luster Concept Wall Tiles are glossy and durable, enhancing the look of the entire room. These tiles are crack proof, acid resistant and can be easily maintained. Digital tiles will have a single coat of pigment nearly 1 or 2 mm. It is not suitable for heavy traffic.As the name suggests, any design can be printed on this types of tiles or u can even customize the design of tile with ur photo or any picture. These White Matt Series Tiles are manufactured with optimum quality clay that ensures maximum durability of the tiles. These tiles can be available in varied colours, sizes and at affordable price. Our array is widely acclaimed for uniformity and optimum compressive strength. 5. Delivery : one week from the confirmation of order. 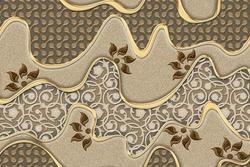 We are one of the organization engaged in providing superior quality of Wall Tiles. 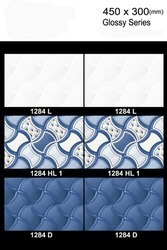 These Wall Tiles are available in market at competitive rates. Lorenzo offers our clients with premium quality Camilo Nano Series Vitrified Tiles. In a house where the wall plays a role of guard, these tiles bring royalty to its look. These yellow coloured tiles with dark yellow spots are polished flawlessly. These tiles are designed to add prestige to interior of every construction. Camilo tiles are resistant to chemical, water and dust.